It was in 2017 when Chris Pratt said “Whoa… wow” after watching a promotional clip of his movie Guardians of the Galaxy Vol.2 that featured Bappi Lahiri’s foot-tapping song Jhoom jhoom jhoom baba. It was back in 2017 when Hollywood star Chris Pratt said “Whoa… wow” after watching a special Hindi promotional clip of his movie Guardians of the Galaxy Vol.2 that featured Bappi Lahiri’s foot-tapping song Jhoom jhoom jhoom baba. The Indian veteran singer-composer says he is in talks with Marvel Studios for one of their upcoming movies. Over the years, some of the Indian elements have managed to find their way in Marvel superhero films. Remember Robert Downey Jr.’s character Tony Stark (aka Iron Man) attending an Indian wedding in Spider-Man: Homecoming or the Indian slum scenes in The Avengers? If things work out, then one of Bappi Lahiri’s songs will feature in a Marvel film. “I am currently in talks with Marvel Studios. They had used my song Jhoom jhoom jhoom baba‘. Chris Pratt, the hero of Guardians of the Galaxy Vol.2, had really liked the song. So maybe a song (by me) will be used in their next film. I will go to Hollywood in April,” Bappi told IANS in a telephonic interview. While he is yet to sign on the dotted line for the Marvel association, his other international collaborations with rapper Snoop Dogg and singer Akon are complete. Acting has also been keeping him busy. He recently made a cameo in Sony Entertainment Television’s show Ladies Special. “I have acted in so many films, including Kalakaar. I had done Indian Idol, but this (Ladies Special) is the first time that I worked on a TV show. It’s today’s story about women travelling by a train and making friends during their journey,” he said. In the show, he acted as a musician providing a platform to new talent. “In real life also, I have always encouraged new singers. I had introduced many singers, including Usha Uthup and Alisha Chinai. So, my character is the way how I am in real life,” said the Yaar bina chain kahan re hitmaker, who likes to work in different film industries such as Bengali and Telugu. The artiste with about a 50-year-long career has even been a film director. After helming a documentary called We are One, he is set to direct a musical. 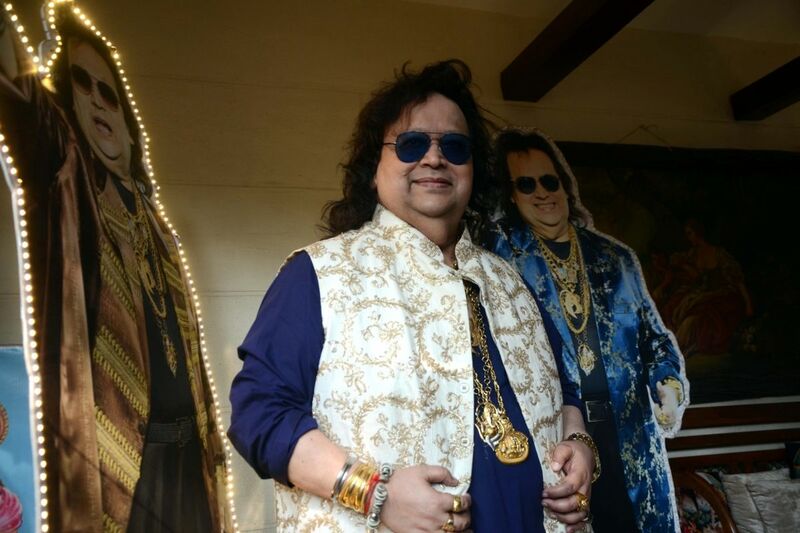 “This year, I am directing a movie titled Ek Adhura Sangeet,” said Bappi. “Yes, a lot of people are approaching me to make a film on my life but I haven’t finalized anything. The biopic should start by this year,” he said. “Actor Ranveer Singh could probably play my younger version…you know the 1970s, 80′ and 90s time,” he added.